Are you big on vitamin supplements? It wasn't until my late 20's that I started to get weird, illusive symptoms indicative of vitamin deficiency and sure enough when I took the advice of friends to take more vitamins, those symptoms disappeared. Even if you are the slightest bit low in an important vitamin, it will manifest several ways in your body. Vitamin D is a big one for me now, as I don't go out in the sun nearly as much as I used to and that is one of the most important vitamins for your immune system and whole body function in general. Especially bone health. My 3 biggest vitamins are Vitamin B-12, C and D. D is harder to get, because it's nearly impossible to get from food if you don't go out in the sun enough and I rarely consume cow milk. This is where supplements come in and help a lot, when you take the right kind. In the United States, a big part of the population suffers from a vitamin D deficiency, but many Americans have no idea that they aren't getting enough of this essential vitamin. Vitamin D is a little different from all other vitamins; it's a steroid hormone that the body gets from supplementation or sun exposure. The vitamin has an ability to influence your genetic expression, so getting enough of it can produce a range of health benefits. Your body needs calcium to maintain bone strength and density. If your body doesn't properly absorb calcium, your bones end up brittle and weak. The best way to regulate your calcium absorption is to take a high-quality vitamin D supplement. Since vitamin D acts like a hormone, it triggers the production of extra parathyroid hormones (PTH) in your body. PTH produces calcitrol in your intestines and kidneys; these organs absorb the substance and convert it into calcium. Vitamin D helps your immune system fight off common illnesses like the cold and flu. 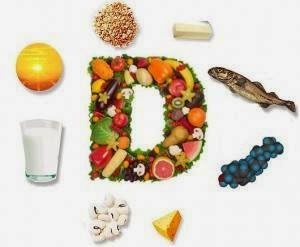 There have been many studies done that prove vitamin D to be beneficial to a person's immune system. It's been proven to enhance immunity while inhibiting the development autoimmunity. When a person properly supplements vitamin D, they encourage cell differentiation; this means that cells in their body can perform their functions correctly. When this happens, your body can fight off foreign cancer cells, and it can also slow down the rate at which foreign cells multiply. Cancer is caused when your cells can't differentiate properly; it can't hurt to take some vitamin D on a daily basis. New discoveries have shown that chronic inflammation can lead to a variety of illnesses like cancer and heart disease. Vitamin D is a way to reduce the amount of inflammation in your body. Supplementing your vitamin D intake should be an important part of your daily routine. When taking high-quality supplements, you stay healthier and happier. Try Ovitaminpro for some high quality vitamin selections, among many other places. Vitamin D benefits are being discovered by researchers on a daily basis, and all the discoveries show just how important it is to make sure that you take extra vitamin D daily. This post was inspired and sponsored by Ovitaminpro. All information is in accordance with FTC guidelines.